Every once in a while, you meet a good one. You know, those people who have a great story and in that story you learn of an experience they had that ultimately changed their lives for the better. All of that change, brought about by simply helping others. I met one of those good ones last week in Audrey Hendler. Audrey is the Founder and Executive Director of a not-for-profit organization called “A Fair Shake for Youth“. This organization works with middle school students and “uses therapy dogs to help kids build self-esteem and reduce bullying.” When Audrey told her story to a group of dog lovers gathered in my building, it gave me shivers. Not because it was based in trauma, or adversity, or anything earth shattering, but just the opposite! I got shivers because Audrey’s path seemed so simple and clear, and it reminded me of how Totem Tamers came to be. Audrey was donating her time to a program called Puppies Behind Bars, where inmates learned how to care for and ultimately train service dogs. 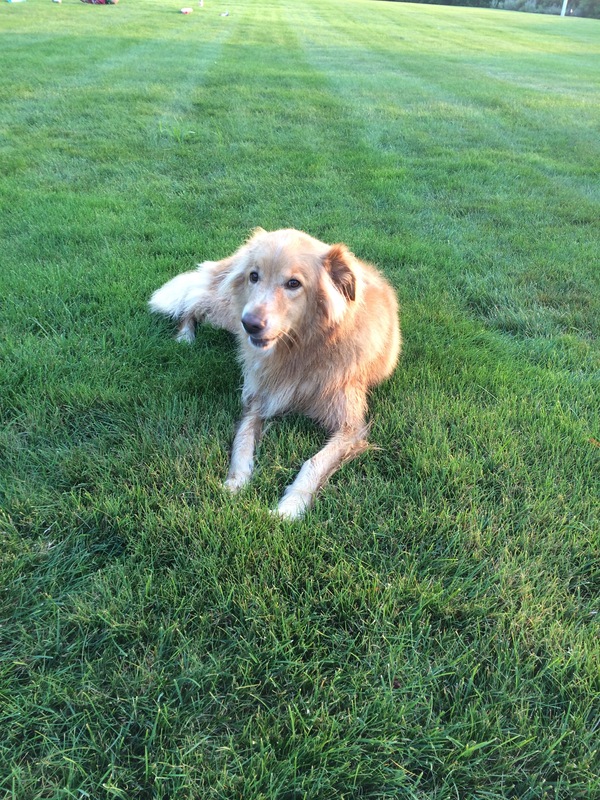 Watching the inmates connect to the animals and find courage where there had previously only been failure and disappointment, is what moved Audrey and made her wonder how these people’s lives might have been positively impacted if they had had access to a therapy dog program at a younger age. She left the corporate world, and “A Fair Shake for Youth” was born. The program is already active in several schools in New York City, along with various after-school and summer camp programs, with the hope that it can add many more in the future. We had the pleasure of meeting two of the therapy dogs that are part of this organization, Lucy and Olive! Bulldog with Lucy and Olive! The dogs and their human partners go through a therapy certification program that prepares the team for going into situations with children, some of whom have never been close to a dog before. The teams that are assigned to a school, commit to an hour each week for a semester. This gives the kids a chance to connect with the dogs and also something to look forward to every week. A facilitator talks the kids through various exercises with the dogs, while also integrating anti-bullying education and building self-esteem and confidence. When I asked Audrey what one of the most challenging aspects of working with the kids has been, I was shocked and saddened by her answer. She said it was hard to get the children to praise the dogs after a trick was performed or a command was heeded. The reality that a lot of these kids are from shelters or broken homes and not receiving praise on a regular basis themselves, it’s a challenge for them to give praise freely to the dogs. However, by the end of the program, the kids “learn positive reinforcement, patience and respect.” Each child gets a trading card of their dog, like the ones seen above, and most of them carry those cards long after the program is over. 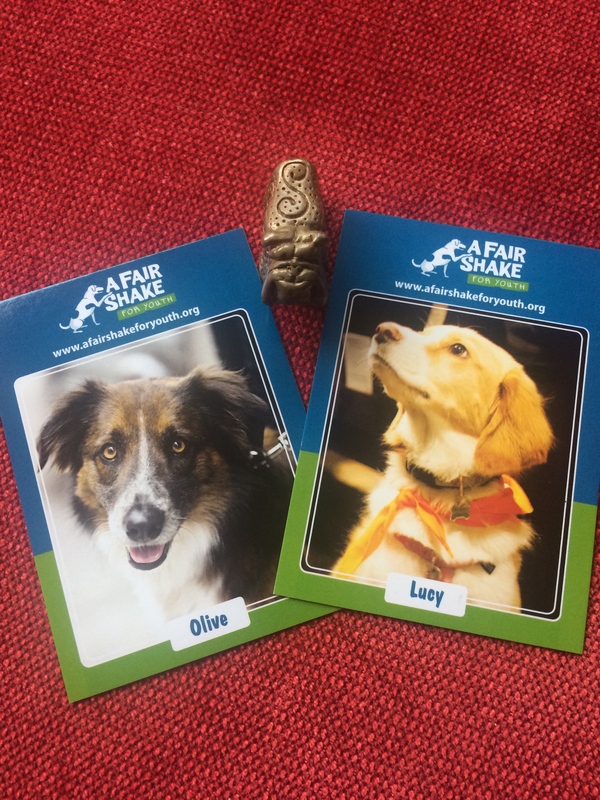 Naturally, “A Fair Shake” needs support which you can give by making a donation, or even considering becoming a team with your dog, so you too can effect change, not only in your life, but in the lives of children who really need it. Totem Tamers is proud to call Audrey and “A Fair Shake for Youth” Warriors this week and always! 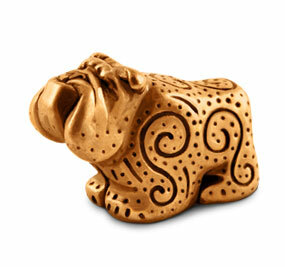 You can carry a dog with you always in the form of a Bulldog Totem!! Click on Bulldog and order one today! !